Make a difference in your life, family, and world! If you are joining part way through the challenges–welcome! Thrive in Your New Country: Feel more Comfortable and Confident! Win a Free Coaching Session for the “Loving My Actual Life” March Challenge! Want a New Start This Spring? Thank you for letting me know what you want to hear about! Inspiring women to grow in confidence and live lives that make a difference in this world! Wow! 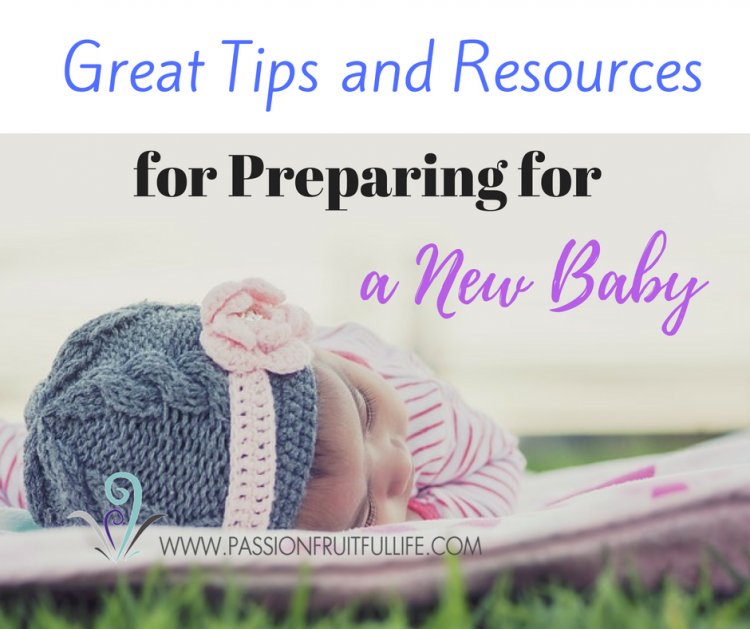 There is so much to learn when caring for a new baby…. It really is impossible to prepare for it all, since every baby, mom, and experience is so different. 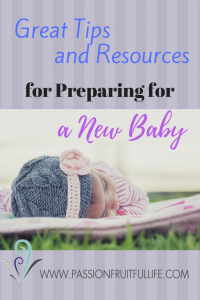 ….On the other hand, I think there are many things you can do to prepare so the learning curve isn’t quite as steep and so you have some great tips and ideas to turn to as you begin to get to know your baby after he or she is born. I think I would have benefited from preparing more for my first child in the areas listed below, so I made sure to do some prep work in these areas for my second child, who was born recently. Now that’s Aaron is born, I’ve been blessed to have some great help the first few weeks (which made such a difference) and I’m so thankful to be getting much more sleep than with my first (although I think personality-type has a lot to do with this, as well). This is partly, I think, because I took the time to prepare. Although I don’t think this baby-thing is ever totally “easy”, some preparation in different areas of life can go a long way! But I hope these tips and resources will help you as you expect your first (or second or tenth) child– helping things go more smoothly and helping you feel more confident and fulfilled as a mom! For me, this area of life was difficult after my first child. I didn’t know many people in the small town I live in because we had moved here relatively recently and I had been working so hard that I didn’t’ have time for much of a social life before the baby was born (not good, I know). I also didn’t know a lot of moms. But it’s good to check out ahead of time where the moms and kids hang out, look into other places that might interest you if you “just need to get out of the house”, and think about who might be good people to visit and help you out on occasion. Fortunately, God came through for me in my loneliness of early mommyhood, and introduced me one day to some Korean moms while we took our niece to a pool. My new friends began to fill my social life tank, and I helped theirs as well. I was also able to use my ESL abilities to bless them and they blessed me in many ways, as well, including lots of laughter, conversation, and cleaning my kitchen after gatherings (what a great cultural tradition!). Of course, being a mom is truly one of the most important jobs out there and is fulfilling in many ways. But as whole people, we moms often need other outlets as well, in order to develop and use our other gifts, talents and interests to make a difference in this world and enjoy life. Even a stay-at-home mom can benefit from thinking about what would help her feel completely fulfilled as a woman, so she won’t feel bored or uninspired by her daily mom-duties (unless it doesn’t bore her–that’s great!). In my experience, this adds so much joy to life– although it is also important not to let other interests overshadow time well-invested with your family. When you have another little around, a new baby can be an adjustment for everyone. Before baby Aaron was born, I tried reading books to my son about being a big brother, role-playing a bit with a stuffy (so cute), talking about what to expect (lots of sleeping, crying, feeding and diaper changes at first) and trying to build his excitement in various ways, such as a promised toy when his grandma takes care of him while I’m “having the baby”. 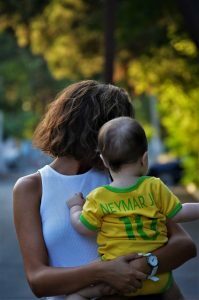 My son is almost 3 and 1/2, so could better understand the concept of a new baby than a younger sibling would, but I think the ideas above did help, as well. After the baby was born, I also make sure to often read with Clayton while nursing the baby, which I think it limiting jealousy, and my husband and mom were also able to help out and give Clayton lots of extra quality time with them. Fortunately, so far he seems to be adjusting well and is proudly enjoying his role as “big brother”. As for sleeping arrangements, we began to practice our new ones ahead of time so that they would be less of a transition for Clayton. We decided I’d sleep in the spare room with the baby for awhile, and Clayton would sleep in his room and could go to Daddy’s bed if he wanted to during the night. I’m grateful the practice seemed to help. 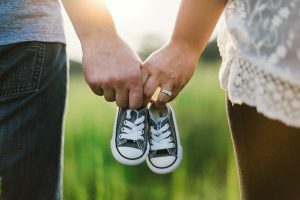 Before baby, I also had been talking little by little with my husband about our expectations of future responsibilities, trying to (patiently) hear each other out and think of win-win situations. Along with lots of prayer for wisdom and a peaceful transition, I’m thankful that things in this area of life seem to be going well now that baby is here. Before the baby came, I had been letting go of a lot of outside responsibilities more and more and focusing on preparing my mind and body for the labour and care of the new baby. I think getting enough rest can make such a difference to your mood as a new mom. Also, as I mentioned before, our plan was that the baby and I would sleep in the spare room. After my first baby, I’ve become an advocate of bed-sharing. This is because my first son was not a great sleeper. We first had him in a bassinet in our room, which went okay, but when he got too big and we moved him to a crib in another room, my nights became really difficult, as I walked back and forth from his bedroom to mine many, many times a night. One evening I almost fell asleep in the chair as I was nursing him, and realized that this was not a safe thing. I groggily brought him to my bed and asked my husband if we could please keep him in our bed just for this night….He agreed, and well, we never looked back. Nursing him was so much easier in our bed and I got way more sleep. Clayton slept with us for a few years, and he began sleeping in his own bed a few months ago, with the option of going to daddy in the night if he wanted to. I’m happy with how things went. This is so, so important. In our culture, there’s a lot of pressure on moms to “do it all” and to do it by themselves– but this is far from realistic or beneficial for all involved. As they say, it takes a community to raise a child. If your mom and others are available and eager to help, awesome. But if you don’t have that privilege, see if you can find some baby-lovers (I love these people!) 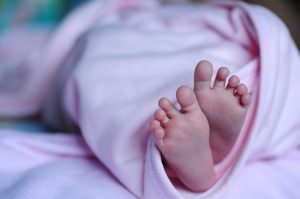 who would be eager to help with the baby or cleaning and cooking or whatever–especially letting you get some naps, if you need them– and think of some good arrangements ahead of time with them. Angie, who wrote the above article also created a postpartum on-line course that comes with rave reviews. I haven’t bought it yet, since I’ve only recently learned of it. But check out the review below and if you buy the course through this link at Unveiled Wife, you can get 15% off! It’s good to know some people and organizations you can turn to as you have questions about the early days and months and years with your baby. For example, breast-feeding is not always as easy as it looks–especially at first– and knowing who can help you as questions come up is wonderful. Your local La Leche League is one example. At our local Early Years Centre, they have a “baby time” sing-along time when a nurse also comes who will weigh your baby and answer any questions or concerns you have. Research what’s available in your area. My first baby had a tongue-tie, which made breast-feeding painful for quite a long time. It was suggested to me to have the tie clipped, but at the time I didn’t want to do that. I probably would have if I had realized how long it would take for things to get better (the tongue tie eventually lengthened). Anyways, this article by Erin Odom of The Humbled Homemaker talks about how to have a great start breast-feeding–including addressing tongue ties and giving a good probiotic to your baby. Doing devotions as usual can be quite a challenge for a new mom–or even for a mom of older kids. There are so many demands on our time now, not to mention that I tend to fall asleep while reading the Bible. It’s a great idea to grab a few simple but powerful devotionals that you can use when time is limited, and also to think about some other practices you might try to fill your spiritual tank. The first time around nursing time turned out to be great for praying and reading. So this time I’ve put in my nursing “basket” a few prayer lists, interesting books, and pen and paper in so I can easily grab them as I nurse in a chair. I also did a short on-line course called the Kingdom Childbirth Class. She gave some great ideas for how to grow closer to God during pregnancy and also how to invite Him into your birth plans. I enjoyed it. 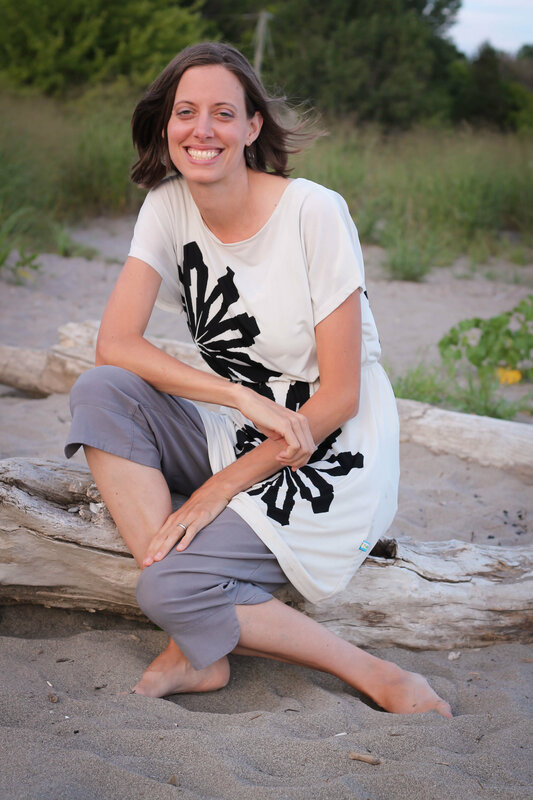 Kingdom Child Birth on-line class–lovely doula and childbirth educator who gives child birth education and advice from a Christian perspective–so helpful and hope-filled. I enjoyed this class and felt it gave me more helpful info than the live class I did a few years ago. That doesn’t mean you can’t do both, though. The Christian Postpartum Course— here’s a link to a review, where you can get 15% off. I haven’t taken this course myself since I only learned of it recently, but it truly looks excellent. Let me know what you think. The Baby Book–Dr. Sears–A pediatrician and his wife, a nurse, are the parents of 8 kids. They give you all the wisdom they learn from live practice and their interaction with thousands of babies to help you make great early mommy choices. Although I had already been sleep-sharing for a few years before picking up this book, I decided to buy it after my second was born to see if they had any other great tips. I think it’s full of wonderful information and would have been good to have as we adjusted to the first child, as well. Another great book that helped me understand the needs of my child as he grew up. He’s such a fun boy–full of spirit–and there are some great mindset advice and tips to help you raise well this kind of awesome-potential kid. so they can confidently take steps to make a difference. I'm a committed Christ-follower, as well as a Certified Professional Life Coach. I'm married to an extrovert named Paul and am mom to 2 lively young boys. I, too, am on a journey to learn how to use my life to make a difference. Will you join me in learning, growing, and living a "passionfruitful life"? I hope so! Get the Passionfruitful Life newsletter and stay up to date on promotions and tips for living your best life. I'd be happy for you to share (as I also encourage my toddler to do)! Please keep in mind that all images and text on this site are the property of Passionfruitful Life Coaching. So feel free to post one or two photos as long as a link is provided back to my original post. Please do not remove watermarks. Also do not crop or edit any photos without first obtaining written permission from me. All free printables that are offered are for personal use only. Thanks so much!